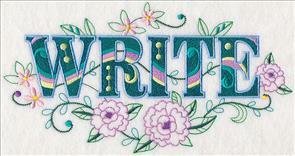 Designs in an astounding variety of themes and styles are new today, and ready to adorn your next project -- it's a Request-fest! 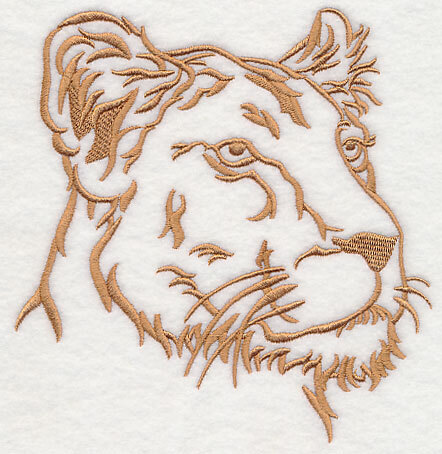 Embroiderers send in dozens and dozens of emails suggesting design ideas, and we're excited to share a new series of designs, each inspired by your requests. 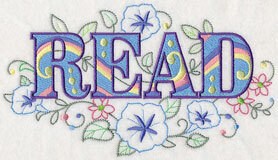 Beautiful lilacs in watercolor shine on home decor projects, while fancy floral words are terrific on pillows, totes, and more. Bird scenes bring wildlife into your home, plus new camping silhouettes, sewing crests, dress forms, and more! 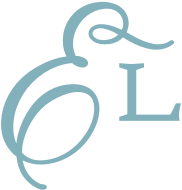 Scroll down the page to see the vast variety of designs and order today! 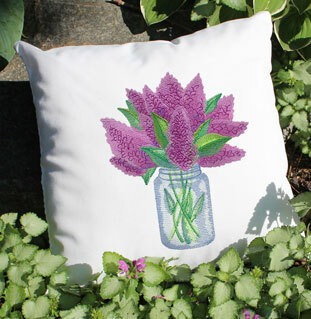 bouquet of watercolor lilacs on a pillow! 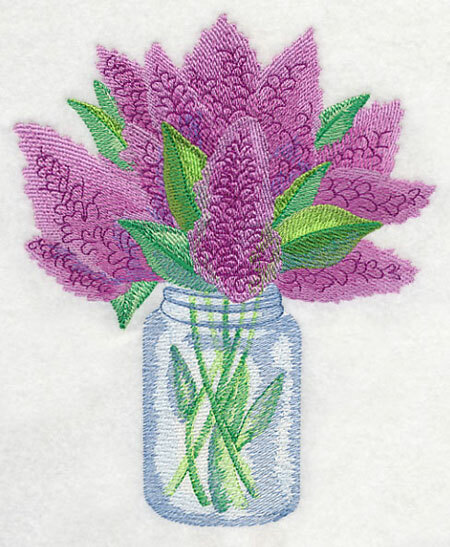 Darlene is a big fan of the watercolor designs, and was hoping for fragrant lilacs stitched in the gorgeous style. What a fantastic idea, Darlene! Add this bouquet to home decor projects, gardening gear, or welcome flags! 6.46" x 7.80" and 5.84" x 7.07" and 4.84" x 5.86"
Karen is excited for the upcoming 4th of July, and wanted an eagle scene to help celebrate! 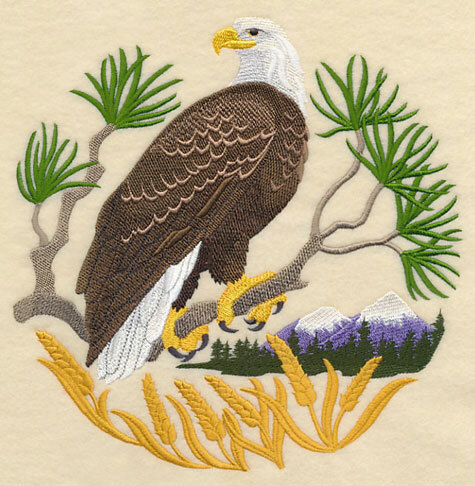 Here the patriotic icon is stitched alongside the "purple mountains majesties" of Pikes Peak in Colorado Springs as well as "amber waves of grain." Great suggestion, Karen! 8.56" x 8.64" and 7.73" x 7.80" and 6.86" x 6.92" and 5.86" x 5.91" and 4.86" x 4.90"
Cherri also loved this style of bird scene, and requested one for the roseate spoonbill, a wading bird generally found in southern areas. The bright colors and detail in this design make it pop on pillows, totes, and more. 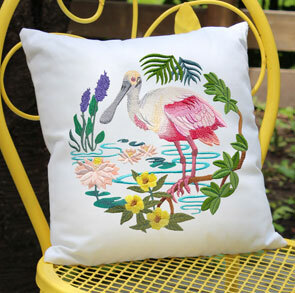 Stitch this colorful bird scene on a pillow for your outdoor patio or pool area. 8.67" x 8.59" and 7.79" x 7.72"
6.97" x 6.90" and 5.91" x 5.86"
After the first of the pretty words with vintage flower fade came out, dozens and dozens of emails came in requesting the designs in a wide variety of terms and phrases. 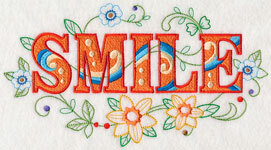 We love these breathtaking designs as much as you do, and created 20 more in words like "Smile" and "Dream." 9.62" x 5.19" and 7.69" x 4.15"
9.97" x 4.94" and 7.99" x 3.95"
6.63" x 3.29" and 5.84" x 2.89"
Stitch these "Live" and "Laugh" designs on their own, or pair with the existing "Love" version for a gorgeous wall hanging or pillow set. 8.49" x 4.87" and 6.72" x 3.85"
10.08" x 4.70" and 7.99" x 3.72"
6.80" x 3.17" and 5.84" x 2.72"
"Courage" and "Wisdom" are motivating additions to framed artwork, bolster pillows, or kids' room projects. 11.45" x 5.30" and 9.16" x 4.24"
11.56" x 4.93" and 9.24" x 3.95"
7.68" x 3.28" and 6.77" x 2.89"
Add a breath of fresh air to your home decor with "Peace" and "Serenity designs -- great for bathrooms, bedrooms, and more! 8.94" x 4.85" and 7.15" x 3.88"
11.75" x 5.53" and 9.40" x 4.43"
7.81" x 3.68" and 6.90" x 3.25"
Any literature lover will swoon over these "Read" and "Write variations. 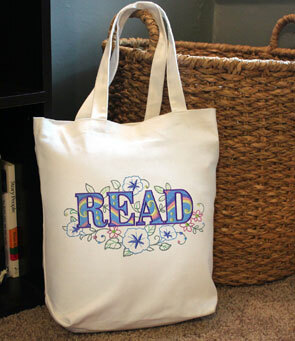 Great for totes, backpacks, or teachers' gifts, too! 8.77" x 5.01" and 7.01" x 4.01"
9.91" x 5.17" and 7.93" x 4.14"
6.59" x 3.44" and 5.80" x 3.03"
These fancy floral sentiments use stunning colors, flowers, and other intricate accents to add a beautiful look to home decor items. Tote bags, pillows, apparel, and more are a fabulous place for these designs to shine -- and will show off what's important in your life! 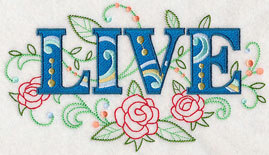 Pick your favorite words to stitch on their own, or use them all on a quilt or series of kitchen towels. 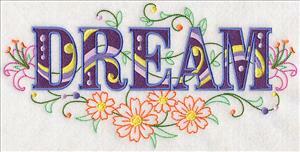 Here, "Happy" and "Believe" feature floral swirls and bright colors for an eye-catching effect. 9.51" x 4.69" and 7.61" x 3.75"
11.76" x 5.76" and 9.41" x 4.61"
7.81" x 3.82" and 6.85" x 3.36"
Daily reminders to "Be Kind" and "Be Happy" are a welcome addition to any home -- stitch on pillows, wall art, and more. 11.11" x 4.89" and 8.88" x 3.90"
11.72" x 5.21" and 9.37" x 4.17"
7.79" x 3.49" and 6.86" x 3.08"
Whether your idea of relaxation is a trip to yoga class or a hot bath, these words are fabulous on a wide variety of projects! 9.70" x 4.93" and 7.76" x 3.95"
11.72" x 5.02" and 9.37" x 4.01"
7.79" x 3.34" and 6.86" x 2.94"
Give the gift of friendship to your bosom buddies! 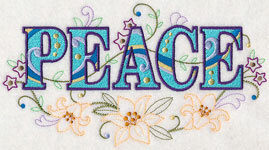 The word "Friend" or "Friends" on a pillow, towel, or framed piece is a thoughtful present for any loved one. 10.29" x 5.00" and 8.23" x 4.00"
11.55" x 5.05" and 9.24" x 4.04"
7.68" x 3.36" and 6.76" x 2.96"
Religious phrases such as "Praise" and "Alleluia" are terrific additions to Bible covers, altar cloths, home decor items, and more. 11.19" x 5.38" and 8.95" x 4.31"
11.71" x 5.06" and 9.37" x 4.06"
7.79" x 3.38" and 6.86" x 2.98"
Yee haw! 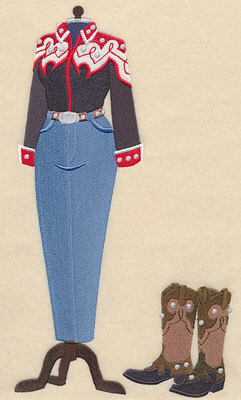 Patty was hoping a "his" and "hers" variation of rodeo rider dress forms could be added to the website, and we were thrilled with the idea! 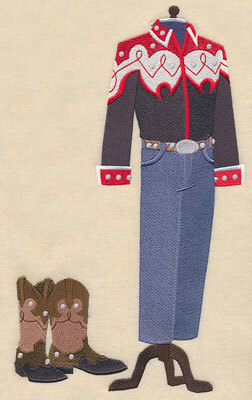 Classic outfits and cowboy boots add Western charm to these designs. 6.82" x 11.69" and 5.48" x 9.40"
6.30" x 11.31" and 5.07" x 9.09"
4.21" x 7.55" and 3.70" x 6.63"
Carol also requested a horseback riding dress form, but in the classic English style instead. 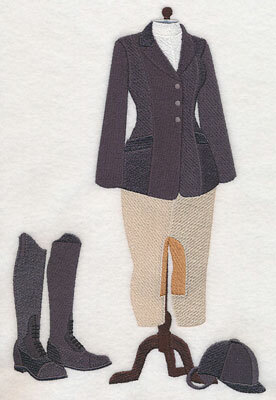 Riding boots and equestrian clothing give this design it's traditional look. 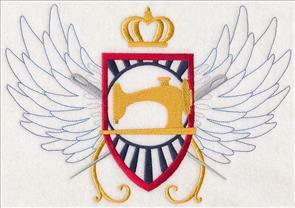 6.89" x 10.47" and 6.18" x 9.39" and 5.13" x 7.80" and 4.48" x 6.81"
Cori was interested in a sewing crest featuring a classic sewing machine. 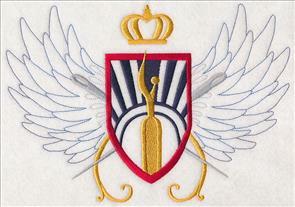 In addition to the crafty badge, a variation with a seam ripper was added, too. What a fantastic idea, Cori! 9.81" x 6.86" and 8.38" x 5.85"
7.60" x 5.31" and 6.85" x 4.78"
9.81" x 6.86" and 8.38" x 5.86"
7.60" x 5.31" and 6.85" x 4.79"
Back by popular demand, new additions to the camping "Welcome" silhouettes -- an RV and a fifth wheel camper! 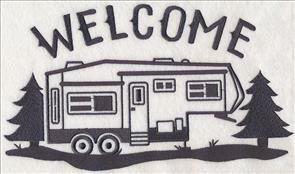 Sherry requested the RV, saying that she'd love to make signs and pillows for her home-away-from-home. 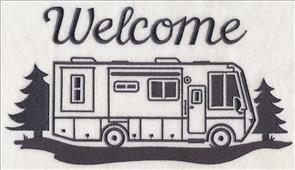 Peggy owns a 5th wheel camper, and was hoping to see it reflected in the one-color style. Thanks for the ideas, ladies! 11.75" x 6.56" and 9.40" x 5.25"
11.75" x 6.73" and 9.40" x 5.39"
7.80" x 4.47" and 6.85" x 3.93"
Terry made a pillow using the Safari Silhouette Lion, and was looking for a lioness to match. This majestic animal is a fast and fabulous addition to shirts, totes, quilts, and more! 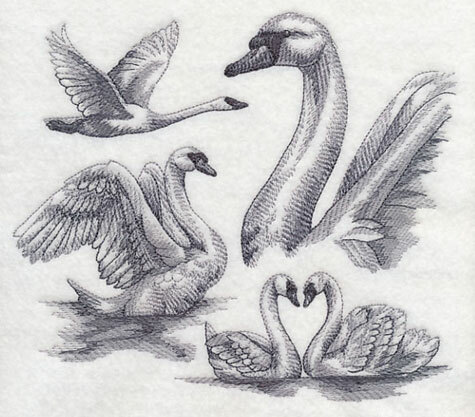 5.85" x 6.25" and 4.84" x 5.17" and 3.61" x 3.87"
Sue loves the majestic look of the swan, and requested a sketch of the animal to add to a pillow. What a gorgeous idea, Sue! 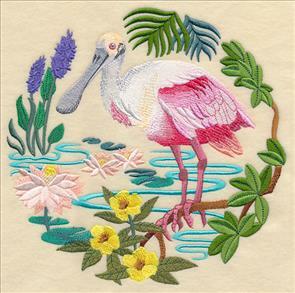 The bird is shown in four poses; stitch on light, neutral fabrics for best results. 7.78" x 6.76" and 6.77" x 5.85" and 5.61" x 4.85"